Gold prices started the new week off in Asia overnight by reversing Friday’s slim gains and re-testing the $1050 level as a strengthening US dollar was once again part of the background picture. More than 13.5 tonnes of gold flowed out of the combined balances of gold ETFs on Friday. During a week when the metal inked new records into the books? The overnight losses in gold did not amount to more than $5 however, and the yellow metal was able to retake the mid-$1050s prior to the start of Monday’s NY session. The European common currency also fell in the early hours, for a second day, due to concerns that Old World financial policy makers will discuss the currency’s recent strength and what to do about it, when they meet later today. New York spot precious metals dealings opened with a light step into the red, with gold down by $0.10 per ounce at $1052.70 an ounce. This, as against a fresh small dollar decline (except against the yen) on the trade-weighted index (last seen at 75.51) and very small losses in crude oil (last quoted at $78.46 per barrel). Post-Dhanteras activity in India amounted to…not very much. Analysts at GoldEssential over in Belgium opine that their conclusion on the market "remain unaltered in the sense that an unwinding of heavily piled up speculative long positions is overdue and unavoidable." They add that they remain very skeptical about any the notion that "gold will continue to have [nothing but] blue skies above." "The percentage increase in fresh speculative shorts has exceeded the increase in fresh longs for the second week as 13.39 pct fresh speculative shorts were added in comparison to 6.79 pct of fresh speculative longs." they wrote overnight. The euro fell back from its 14-month pinnacle against the greenback before the talks by euro-area finance ministers in Luxembourg. "There is emerging wariness about policy makers’ remarks on the strength of the euro," said Tomokazu Matsufuji, a dealer in Tokyo at SBI Liquidity Markets Co., a unit of financier SBI Holdings Inc. "Along with losses in stocks, the dollar’s fall may take a temporary breather." -reported Bloomberg. Overnight, trading in Asian shares extended declines in U.S. equities, and it curbed demand for higher-yielding assets. According to the Washington Post, Ben Bernanke is slated to deliver speeches this week, from coast-to-coast. The first one, on the topic of "Asia and the Global Financial Crisis" will be heard at a San Francisco Fed conference in Santa Barbara, California today. The WP reports that "an open question is how much responsibility he [Bernanke] assigns to global imbalances — Asians saving too much, and Americans saving too little — in causing the financial crisis." Then, on Friday, the Fed chief plans to address a Boston Fed conference in Cape Cod. His subject will be : "Financial Regulation and Supervision After the Crisis." "Neither of those speeches focus on the hot topic that is captivating Fed-watchers at the moment: when Bernanke might entertain raising target interest rates above their current level near zero or unwind other aggressive interventions. But both speeches are supposed to be followed by question-and-answer periods, and it is a safe bet that bond traders all over the world will be watching those sessions on hair-trigger, ready for anything Bernanke says that might hint at his inclinations — whether Bernanke intends to send a signal or not." said the Washington Post. 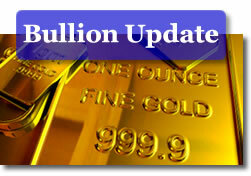 Gold had its "upward push" above $1062.00 per ounce. The next resistance remains near from $1080 to near $1100.00, depending on if and when prices reach that far. A decline beneath $1000 would be too deep a retracement to allow for any further bullish potential. It would instead indicate that a new wave down to below $680 was underway." "The U.S. continues to provide one of the deepest and most liquid markets available for investing," said Wan-Chong Kung, who helps oversee $89 billion as a portfolio manager in Minneapolis at FAF Advisors, a unit of U.S. Bancorp. The weakening of the dollar is "terrible news for practically all of the rest of the world’s economies," except the U.S. and China, Harvard University Professor Niall Ferguson said in an Oct. 16 interview on Bloomberg Radio. China, which manages the yuan’s appreciation, will "intervene to make sure the dollar does not weaken" relative to its currency, added Ferguson, author of "The Ascent of Money: A Financial History of the World." "The economic news, while mixed, still portrays an economy which could fall short of people’s expectations," said Gary Pollack, who helps oversee $12 billion as head of fixed-income trading at Deutsche Bank AG’s Private Wealth Management unit in New York. "The expectations are that growth in 2010 will be less than in the second half of 2009. Inflation is not expected to rise for the near term." Pimco’s Bill Gross said that [Pimco] bought government-related debt last month and cut mortgage bond holdings to the lowest level since 2005. He said his firm was buying longer-maturity Treasuries because of deflation concerns. The rate of U.S. household savings rose to 5.9 percent in May, compared with 0.8 percent in April 2008. Meanwhile, gold’s virtual hostage crisis continues to be manifest not only when one observes the mountain of speculative long positions that has sprung up in New York since September 1st, but out on Main Street as well. If predatory mortgage lenders took advantage of the poor and the illiterate, then the front end of the gold industry is playing upon the fears of nervous white guys with some assets to protect. "Increasingly, the underwriting of the [cable television show] debates is being done so in the interests of gold. Advertisements for gold producers, or bullion or coin vendors, prominent ever since the medium’s creation, are virtually ever-present these days on American cable talk television. Whether it be Fox News on the right, MSNBC on the left, or maybe even ratings laggard CNN for the muddled middle, if you don’t see an advertisement for gold interests during any 15-minute timeframe on these stations it must be because you’re watching a criminal being pursued by police on the Los Angeles freeways; not to worry; you’ll see plenty of billboards hawking gold as the previously fleet-of-foot prepares to face his destiny from out of the barrels of the terrible twinkling, tasers of social order. "Government spending is out of control," the pitch might begin, perhaps with a not very flattering picture of President Barack Obama green screened into a background of riots and chaos. "Congress is spending away the nation’s wealth. Inflation will soon be skyrocketing, and your children and children’s children will be left with unimaginable debts." Familiar ad tune. No need to name it. It contains two words. The second one is ‘agenda.’ As delivered with an urgent tone by…G. Gordon Liddy (!!!). Check out CoinNews and other site market resources at Live Metal Spots, the Silver Melt Calculator, U.S. Mint Collector Bullion Coin Price Guide and Silver Coin Values. The US Inflation Calculator easily finds how the buying power of the dollar has changed from 1913-2009.